Standing in front of the media with his classic handlebar moustache Sandro Wagner is a representative of what appeared to be a bygone era in German football. In many ways, Wagner looks like a cross between Jürgen Kohler and Rudi Völler. Furthermore, the tall strong and athletic forward represents a type of football that no longer seemed appreciated by Germany’s national team head coach Joachim Löw. These days, however, very few things are ordinary in Germany’s national team. Die Mannschaft is currently on route to Russia where they will compete for the 2017 FIFA Confederations Cup. But resting most of his key players Löw has decided to nominate a highly experimental squad. For Sandro Wagner, who in the winter described himself as the “best German forward in the Bundesliga”, the Confederations Cup in Russia is a chance to demonstrate that he can be a regular starter for the national team. But the absence of Löw’s first choice striker Mario Gomez does not mean that Wagner will be given a free pass up front. In fact, he will be competing for the starting position with RB Leipzig forward Timo Werner, who despite Wagner’s strong winter statement was the German forward with the most goals in the Bundesliga last season. In an era where more and more teams are switching from 4-2-3-1, which has been the established formation of the German national team since the 2010 World Cup in South Africa, to 3-5-2 Wagner and Werner could very well find themselves together in the starting formation. The friendly against Denmark, and the World Cup qualifier against San Marino indicated that Löw could play regularly with two strikers up front. Löw started Borussia Mönchengladbach’s Lars Stindl as the second striker. Stindl unlike Werner interprets the attacking role more like a trequartista and is, therefore, better described as a transition player rather than a goal getter. Werner, on the other hand, likes to overrun defensive lines using his breath-taking speed. Both Stindl and Werner are also capable of finishing moves with their heads, but neither player are the target man and are therefore dependent on a physical striker to create room for them. Here Wagner has an edge over Mario Gomez. Both have a strong physical presence and are dominant in the air. But Wagner’s work rate is second to none. His work rate has been particularly evident in the second half of the Bundesliga season where he only scored one goal for Hoffenheim. His low scoring rate in the Bundesliga, however, does not mean that he was not valuable to the team. Quite the contrary Wagner’s work rate created space that allowed Hoffenheim’s variable attacking line to produce the necessary goals that led to a fourth-place finish in the Bundesliga. Wagner’s ability to put his team ahead of his success that made Löw decide to nominate the striker for Germany. In previous years Wagner had always shown that he had the talent to become a national team player. Educated in the Bayern München youth system Wagner, however, failed to make a mark at Duisburg, Bremen, Kaiserslautern and Hertha Berlin. It was not in fact until he joined SV Darmstadt 98 in 2015 that Wagner finally understood the values of putting the team first. Darmstadt had just marched straight from Liga 3 to the Bundesliga and was widely tipped to be straight relegated. Using teamwork head coach Dirk Schuster, however, managed to form a team of players that had failed elsewhere and guided the club to a surprising 14th place. Wagner completely bought into Schuster’s methods and scored 14 goals in 32 games for Darmstadt. It was the resurrection of his career and transfer to Hoffenheim where he was a fundamental building piece in the club reaching European football for the first time in history. The culmination of the last two seasons have now led Joachim Löw to include Wagner in the Confederations Cup squad, and while all parties involved are aware that this is an experimental team, there is a good chance Wagner could use this opportunity to be included in the 2018 FIFA World Cup squad. After all the tournament last summer in France has demonstrated that the national team lacked a breaker up front, which could create for the several highly talented speedy attacking midfielders the country has produced over the last six years. In France Germany lacked a true plan-b after Mario Gomez went down with an injury in the quarterfinal against Italy. 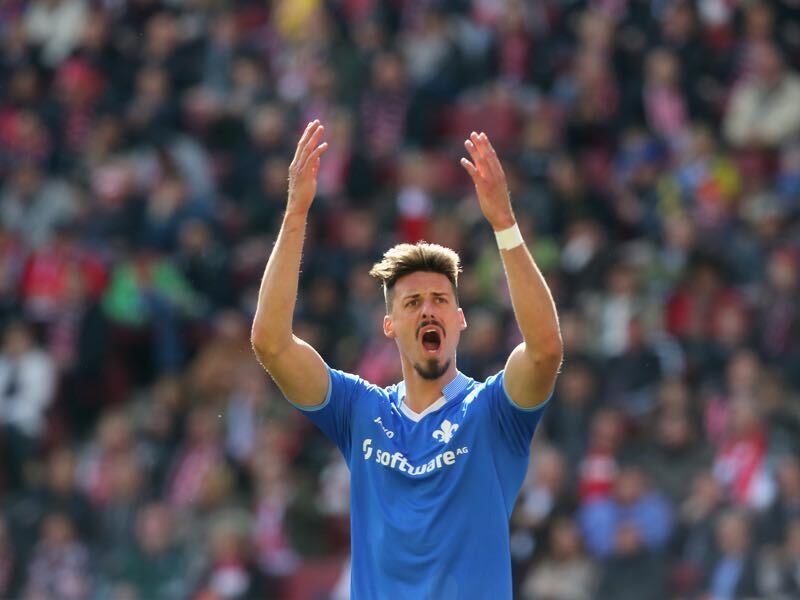 Sandro Wagner would be a serious alternative to Mario Gomez and would allow Löw to implement the 3-5-2 system with Wagner on top more frequently. Sandro Wagner’s appearance and his playing style are certainly reminiscent of a bygone era of the national team. But his presence and his work rate give Joachim Löw the necessary tools to carry the team into the future.